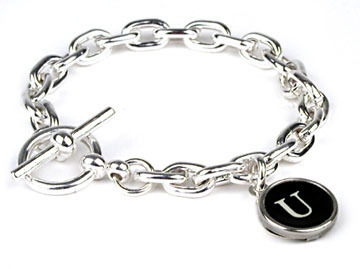 Classic typewriter key tag bracelet. Sterling silver. 7.5" long. Hand made in U.S.A.